Allow me to introduce myself. My name is Ray and I'm a member of Mazda6club. 2. Passes to all the scheduled races. 3. See the SpeedSource RX-8's in action. 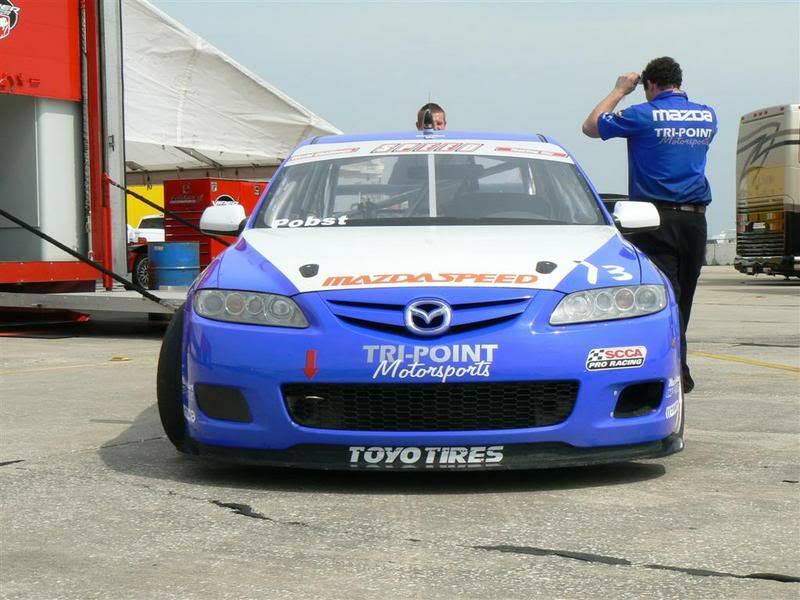 Cheer on the Mazdaspeed 6's from Protomotive Racing, Tindol Motorsports, and Tri-Point Engineering as they leave the competition behind in the Speed World Challenge Touring Car series. Meet the team members and drivers working to lead Mazdaspeed to victory. 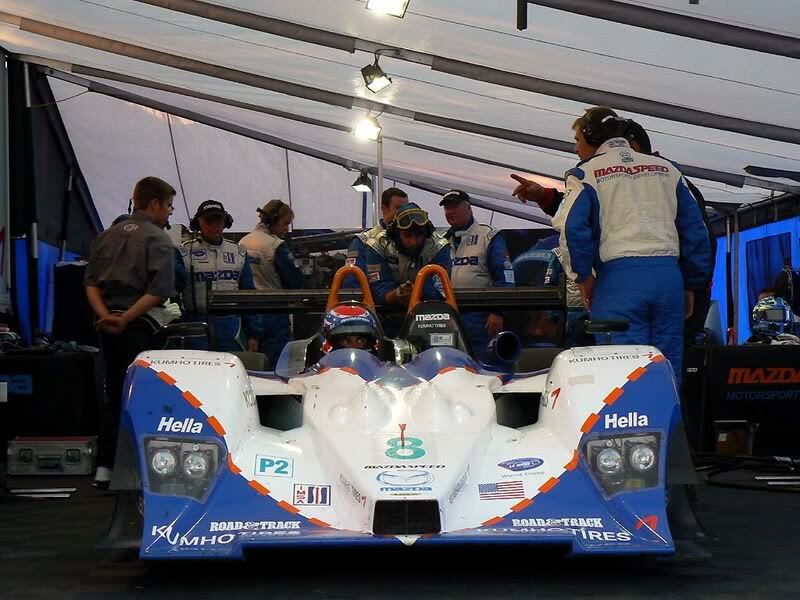 See them and their race cars up close and personal. 4. Pace car controlled parade lap around the world famous Lime Rock road circuit. 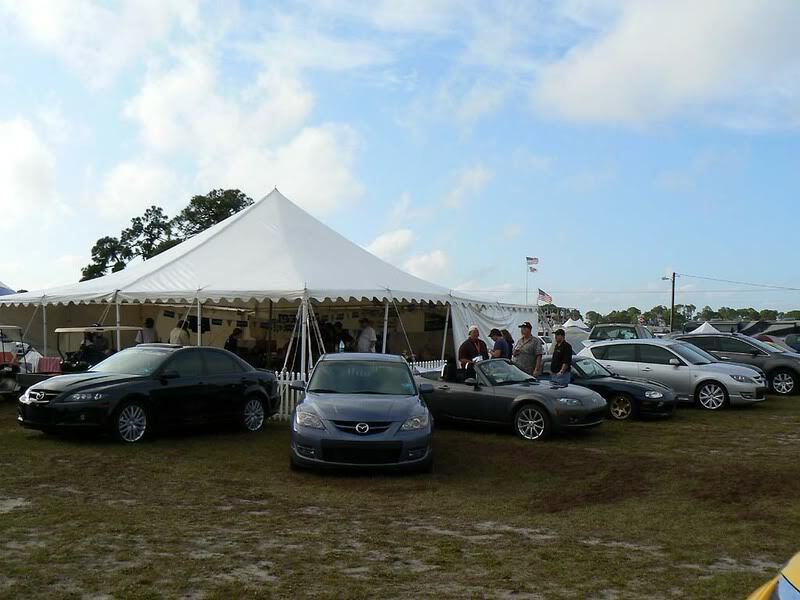 I can personally testify that Mazda Motorsports wants us, the loyal Mazda enthusiasts, to show up and fill up a car corral so why don't we oblige? They've supporting the Mazda community by sponsoring the 24 Hours of Sebring meet down in FL weeks ago. With sponsorship, we were able to secure premium race week packages for the attendees at a discounted price of $100 each person. I would like to replicate that package at Lime Rock, but that will only occur if we show Mazda that there are plenty of committed diehard enthusiasts for the race. So, will you heed Mazda's call? Having attended the SWC/ALMS races at Mid-Ohio and Sebring, I can testify that going to the these races is nirvana for Mazda enthusiasts of all ages. The Mazda teams will appreciate your attendance, because it makes the race mean much much more with supporters in the stands. You, the enthusiast, will be treated to best racing series running in America today in the company of like-minded individuals. I guarantee you that it will be an experience of a lifetime. Thus, I cordially extend the invitation to our rotary brethren. If you're interested please reply with your name, number of cars for the corral, and number of passes. 6. Msumlin, Mazda6, 2 cars, 2 passes? 7. Shutterbug2020, Mazda6, 1 car, 1 pass? 8. Sexy6s, Mazda6, 1 car, 1 pass? 10. iiijay743iii, Mazda6, 1 car, 1 pass? 19. MTM 06 MPS, 1 Mazdaspeed6, 2 passes. 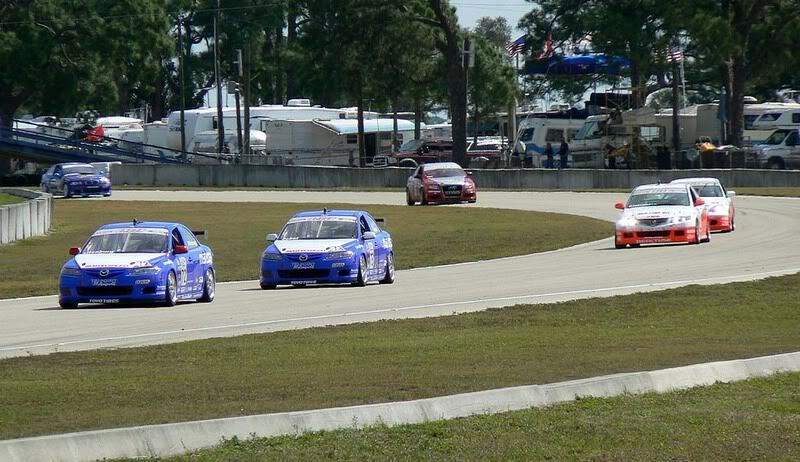 I just wanted to share a few photos of the Sebring event to give you guys an idea what to expect. More photos and videos can be found in my album. We are nearly done with our negotiations, I am just waiting on Mazdaspeed and Modern Motors to finish doing their thing, we should have everything completed by Friday. Here is what I can tell you at this point. 4. Tickets can be purchased on line or by phone We will have our own code and password. 5. Individual tickets can be purchased for single days, i.e. Friday, Saturday, Sunday ( no racing or parade lap) or Monday. 6. The first 50 cars will be the only ones allowed on the parade laps, if any of the 50 cars drop out, we will have a stand by list. Again, the members who signed up will be given a 48 hour window to purchase ticketrs before it is released to the boards over all. Ray or myself will PM each member. Children under 12 are free, I will again check with Melanie to confirm, or maybe she can chime in here. I can tell that if you only come to Monday's race, it will cost you $40, so you know we are working a great deal for all of our Mazda owners! Please remember, only Mazda's will be allowed in the corral, no exceptions! So look for more information soon! 1. Passes for all 4 days (5/25 - 5/28) is $75.00 per person. 2. Single ticket prices are as follows: Friday $15.00, Saturday $25.00, Sunday $15.00 and Monday $40.00 (Race Day). Please note that there is no racing at Lime Rock Park on Sundays. 3. Two (2) catered lunches, tentatively scheduled for Friday and Monday. 5. Meet and greet with SpeedSource, Tri-Point Engineering and Tindol Motorsports teams. 8. Pace car controlled laps around Lime Rock Park, tentatively scheduled for Friday, Saturday and Monday. Everyone on the list has been informed of pricing and given instructions on purchasing their tickets (one per person). They get first crack at the corral package, then we shall be opening it up to the general Mazda community. To anyone else who is interested, I advise that you finalize your decision and inform me of whether you want to be added to the waiting list ASAP so you don't miss out on Tuesday. FYI all, camping at the track is included with purchase of the weekend pass.